When people ask me what I do for a living, I usually tell them I am a “divorce” lawyer. While much of this firm’s practice is devoted to representing clients either getting divorced, handling issues incident to a divorce, or addressing disputes which may arise post-divorce (i.e. modification, enforcement of obligations and the like), over the years this firm has often been called upon to handle a growing number of disputes between non-married parties. Among these claims arising from “family-type” relationships are those involving child custody and parenting time, property rights, child support and “palimony”. Hence, it is more accurate to described myself as a “family law” attorney as our firm’s website so references. However, there have been significant differences in how the courts in New Jersey handle and process these two types of family law cases. Those differences have been a great source of confusion, consternation and frustration for attorneys and litigants alike. This Fall, the Supreme Court of New Jersey finally promulgated rules in an attempt to address how these increasingly commonplace non-divorce or “non-dissolution” type cases are handled by the courts. When a Complaint for Divorce in a “dissolution” matter is filed, the case proceeds through the court system under a docket number beginning with an “FM” designation. While our statutes and rules require that certain language and provisions be included as part of a pleading filed in divorce matters, attorneys are generally afforded latitude in terms of the form and content included within the pleadings they prepare. There are Rules governing how divorce matters are handled from the time of filing through the time of completion depending upon their complexity and the issues involved, including rights of discovery, as these cases are managed through the system. However, litigation involving claims arising out of a non-marital family-type relationship fall within a category broadly classified as “non-dissolution” and proceeding under docket numbers with an “FD” designation. For years, this “FD” docket became the “Wild West” of family law. While the clerks and the courts had a system in place for the handling of divorce matters, this was often not the case for non-dissolution matters. The presumption seemed to be that most of these cases involved matters of support or custody of children born out-of-wedlock to the lower socio-economic members of society. The courts viewed the issues to be resolved as being simple and straight forward, and that rarely would attorneys be involved. These matters were expected to proceed in a summary fashion, and without any need for “discovery” that is commonly exchanged in dissolution matters. Dozens of these cases would be scheduled to be heard on any given day. I recall instances in the past of appearing on this “cattle-call” of non-dissolution cases with my witnesses present, my evidence prepared, ready to proceed, only to have the judge look at me as though I had two heads and telling me that I was given only fifteen minutes to present my entire case. Unfortunately, the “system” of how to handle these presumptive types of “non-dissolution” cases was clearly ill-equipped to deal with the sweeping societal changes. Mores evolved, and more and more people across all socio-economic strata began living together in family type relationships without marrying. These people had children together, acquired property together, made promises and sacrifices in support of each other and their relationship. Just like married couples, these relationships are not immune from disputes and of a need to resolve issues arising from their breakup. In many instances, these cases involve issues which were equally, if not more, complex than divorce cases. In 2011, administrative directives were issued to supplement and revise the procedures for the processing of non-dissolution matters. The intent was to provide a state-wide uniform system for the processing of cases falling under the general purview of the “non-dissolution” or “FD” docket. Unfortunately, these directives continued to operate and under the premise that self-representing (Pro Se) litigants comprised the majority of those filing in the non-dissolution docket. Among other things, these directives required litigants in non-dissolution matters to file their initial Complaint using standardized complaint forms approved by the Administrative Office of the Courts (AOC), providing no exemption in those instances where a party may be represented by counsel and/or the allowing of pleadings as prepared and filed by that attorney. Further, such non-dissolution matters were to be processed and handled as “summary actions”, expedited proceedings traditionally governed by Rule 4:67-1 to accomplish the salutary purpose of swiftly and effectively disposing of matters which lend themselves to summary treatment and generally without the benefit of discovery. (R. 5:5-1). Rule 5:5-4(a) defined Family Part summary actions to “include all non-dissolution Complaints”. While that Rule also afforded the court discretion, upon application, to expand discovery, enter an appropriate Case Management Order or conduct a Plenary Hearing with any matter, it was innocuously contained within what was largely a “service of process” rule. In implementing these procedures, besides catering to the needs of self-represented litigants, the non-dissolution docket was still largely viewed as providing relief to never-married parents seeking custody, parenting time, paternity, child support and medical support or to couples seeking financial or other relief without dissolution of their union, i.e. an action for separate maintenance under Rule 5:6-7. However, pursuant to Rule 5:1-2, besides actions for divorce or dissolution of marriage, civil union or domestic partnership and relief incident thereto, family actions cognizable in the Family Part are broadly defined to include all claims and proceedings “unique to and arising out of a family or a family-type relationship”. Beyond simply matters involving support, custody/parenting time and paternity, actions cognizable in the Family Part can also run the gambit to include claims for alimony/enforcement of non-marital support agreements (i.e. Kozlowski v. Kozlowski, 80 N.J. 378(1979); In re: Estate of Roccamonte, 174 N.J. 381 (2002); Devaney v. L’Esperance, 195 N.J. 247 (2008); N.J.S.A. 25:1-5; Maeker v. Ross, 219 N.J. 565 (2014)); disputes between unmarried persons over property acquired during their co-habitation (i.e. Mitchell v. Oksienik, 380 N.J. Super 119 (App. Div. 2005); D’Angelo v. D’Angelo, 208 N.J. Super 729 (Ch. Div. 1986); Dey v. Varone, 337 N.J. Super 616 (Ch. Div. 2000)); as well as actions for domestic torts (i.e. Giovine v. Giovine, 284 N.J. Super 3 (App. Div. 1995); Segal v. Lynch, 413 N.J. Super. 171 (App. Div. ), cert. denied. 203 N.J. 96 (2010)). Even for those matters which may only involve issues of support, custody or parenting time in a non-marital context, there are a myriad of circumstances that do not reduce to a simple review of paystubs, plugging numbers into a child support guidelines worksheet, or asking how much time someone will want to spend with their children. As such, not all matters are amenable to “summary treatment”, and their disposition by a court within a matter of days or weeks after a form Complaint is filed. What about those child support matters where one or both parents is self-employed and there are bona fide issues as to their true income and cash flow, or which may involve high income situations? What about those matters involving contributions towards educational/college expenses requiring analysis of the Newburgh v. Arrigo factors and other relevant factors? What about those matters involving bona fide disputes over what custody or parenting arrangements would be in a child’s best interest, or involving allegations of parental unfitness or parental alienation? While such complexities may arise in cases involving “self-representing litigants”, generally, the nature of these cases results in a party engaging counsel to handle, prosecute and defend such matters. Unfortunately, thanks to these directives, the filing and processing of these types of “non-dissolution” matters became a practical and procedural nightmare. While in the past, clerks and judges in each county seem to have their own set of rules and procedures for the filing and handling of “non-dissolution” matters brought by attorneys, there was often some level of flexibility at play. However, after implementation of these AOC directives, this flexibility went out the window. 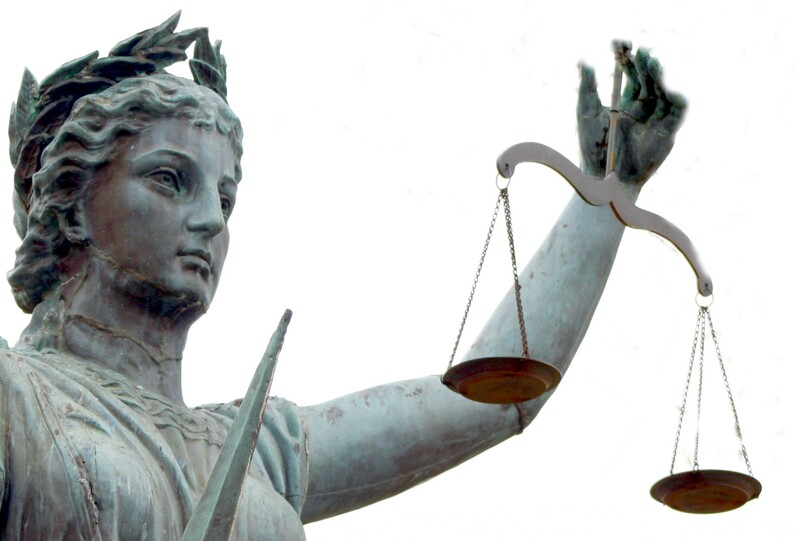 Attorney-crafted pleadings were automatically rejected with requirements that the mandated “form” pleading be used, adding time, expense and delay. Cases were routinely scheduled for a “hearing” within a matter of days or weeks after filing with little or no explanation as to what this meant or how the matter was actually expected to proceed on that date – a conference, an argument, or even a “trial” – making it impossible to prepare. The burden was placed upon the litigant to overcome the presumption that such non-dissolution matters be disposed of in a summary fashion. These were the circumstances confronted by the litigants in the case of R. K. v. D. L. Jr., 434 N.J. Super 113 (App. Div. 2014). 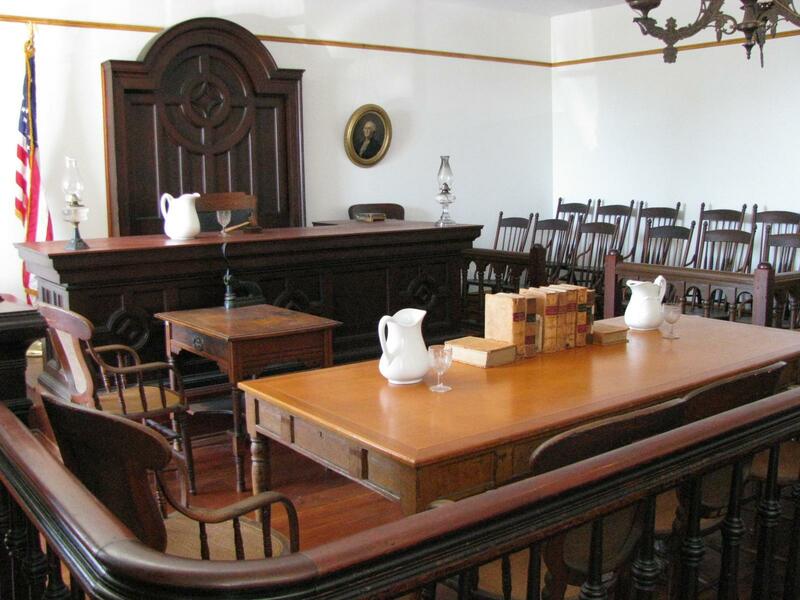 This was a Grandparent Visitation case brought under a rather tragic set of circumstances. There had been two children born of the marriage between the defendant/father and the petitioner/grandparents’ daughter. At the time of the divorce, concerns were raised over the mother’s fitness due to allegations of her drug abuse and emotional health. Notwithstanding these concerns, the mother was afforded primary custody of the children, influenced, defendant asserted, by the grandparents’ assurances that they would be readily available to assist with the care and supervision of the children. Tragically, the youngest child drowned in a koi pond on the grandparents’ property when he was 18 months of age. The court declined the father’s application to transfer custody of the remaining child to him. Subsequently, the grandparents moved to Florida. The child remained in New Jersey in the primary custody of her mother. Several years later, the mother suddenly died of a heart-related ailment. Custody of the child, then aged 10, reverted back to the defendant/father. Magnified by the tragic set of circumstances, there was a breakdown in the relationship between the child’s maternal grandparents and child’s father, with each blaming the other and having dramatically different perspectives of the grandparents’ impact (good or bad) upon the child’s life. As a consequence for what they viewed as the father’s cutting off their ability to speak with and/or visit their granddaughter, the grandparents retained counsel who then prepared and attempted to file a complaint for grandparent visitation. This complaint was rejected by the court because a “form” complaint was required, as this action fell under the non-dissolution docket. This standard “check the box” form complaint was subsequently completed and resubmitted, although the original, more detailed complaint as setting forth the factual allegations of the action was attached. Shortly after its filing, the plaintiffs received a notice scheduling the matter for a “visitation rights hearing”; defendant was directed to file an Answer or other responsive pleading thereto, and the parties directed to submit a pretrial memorandum in advance of the hearing date. The defendant subsequently filed his Answer as well as a Notice of Motion to Dismiss pursuant to Rule 4:6-2. The plaintiffs filed a response in opposition to that motion. 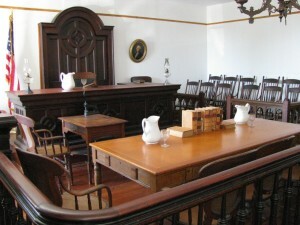 When the parties and their counsel appeared on the “hearing” date, the court advised that the matter would proceed as a Case Management Conference, and during that proceeding the Court declined to address issues raised about experts and a possible interview of the child, stated that it would rule upon the defendant’s motion on the papers without oral argument, and set a new hearing date. However, a week later the court issued an Order and Statement of Reasons granting the defendant’s motion to dismiss plaintiff’s complaint, finding that the facts were not in dispute, that plaintiffs had failed to establish harm or offer any expert testimony substantiating same. The Appellate Division reversed the trial court’s decision and remanded the matter for further proceedings. Before addressing the substantive issues, the Appellate Division commented on how the matter was procedurally handled by the family court, and established new guidelines as to how such matters should be handled going forward. After reviewing the 2011 AOC Directives regarding the handling of “non-dissolution” matters, the Appellate Division held that the Family Part’s automatic treatment of the grandparent visitation application as a summary action requiring expedited resolution merely because it bore an “FD” docket number was inconsistent with sound principles of judicial case management and could potentially inhibit a parties’ due process rights to prosecute their case in a manner likely to produce a sustainable adjudicative outcome. Hence, the Appellate Division was of the view that a Verified Complaint prepared by an attorney should not be rejected by the Family Part as facially deficient for filing merely because it was not presented using a standardized form of complaint that was clearly intended to be used primarily by Pro Se litigants to facilitate their access to the courts, and that a litigant should not be penalized for retaining an experienced family law attorney to present their case in the form of a professionally drafted pleading. The Appellate Division was of the view that beyond a matter of basic respect to the legal profession, a professionally prepared Complaint was likely to identify with particularity the salient factual and legal issues of the case to enabling the judge to assess each case based upon its level of complexity and to distinguish those cases which needed active case management and those which needed early judicial intervention. Hence, the Appellate Division concluded that notwithstanding its FD docket designation as a non-dissolution case, when a litigant brings an action seeking grandparent visitation, the matter should be designated as a contested case and referred for individualized case management. The Appellate Division suggested that the judge meet with the parties and counsel as soon as practical after joinder of the issue to address a myriad of potential case management issues, including the possibility of settlement or mediation, whether pendente lite relief was warranted, whether discovery was necessary and if so, the extent and scope of same, whether expert testimony would be required and if so, setting times for the submission of reports, whether motions would be required and the protocol for filing and deciding motions, and the setting of a tentative date for the filing of dispositive motions and/or a plenary hearing if necessary. Viewed against this backdrop, the Appellate Division noted that none of these procedures had occurred in this matter, notwithstanding the fact that the case clearly fell within a class of complex litigation that required the trial court to conduct meaningful case management, including a reasonable opportunity for discovery and experts, and concluding that the dismissal of plaintiff’s cause of action under these circumstances was factually unwarranted and legally untenable. Again, while the appellate Court’s suggestions and holdings in R.K. were made in the context of a grandparent visitation action brought under the non-dissolution docket, these Rule amendments significantly mirror same and clearly apply to any sort of non-dissolution actions deemed complex and not capable of being heard in a summary manner. What is going to be the practical impact of these Rules in regard to how non-dissolution matters are handling going forward? 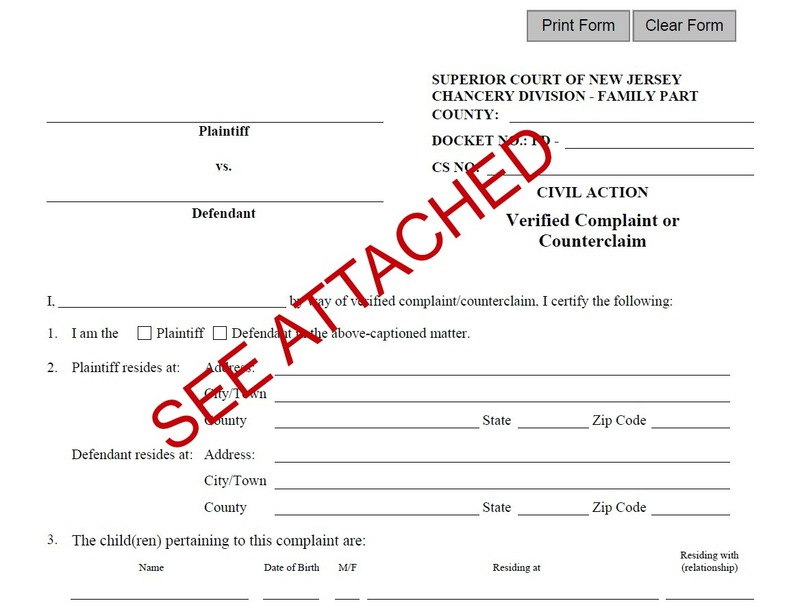 First and foremost, attorneys will no longer have their pleadings rejected simply because they did not use a form complaint. As long as that pleading has appended to it the completed supplement form, the Clerk is now required to accept and file those pleadings. — a victory for substance over form. Further, if a party or an attorney believes that their non-dissolution matter should be placed on a complex track, the request should be made not only in the initial pleadings but, I submit, also in a separate writing to the court prior to the first hearing. Besides calling the issue to the court’s attention rather than assuming that the court would actually take the time to review the pleadings themselves, the request to the court should set forth in detail all the reasons why the matter should be deemed complex. While a complex track assignment may be considered more self-evident for some types of cases than others, Rule 5:5-7( c) does provide that “complex track assignment shall be reserved for only the exceptional cases that cannot be heard in a summary manner”. Hence, while such a request for complex track assignment could be made upon “oral application” at the first hearing, providing the court with a detailed written summary in advance explaining why the court should assign the matter to a complex track and why the matter cannot be heard in a summary fashion will enhance the likelihood that the court’s presumption that a matter is summary and non-complex will be overcome. How the courts will address these applications and their impact upon the non-dissolution docket is yet to be determined. However, both the R.K. case as well as these new Rule amendments at least now provide a guideline and road map to enable these matters be given the due process and judicial consideration that they deserve.